The 4-star Jolly Caserta Hotel is strategically placed in the region of Campania, Italy at Caserta, a few kilometres from Naples and within reach of the superb Amalfi coast. Set on the grounds of the Royal Palace in beautiful landscaped lawns, the Jolly Caserta Hotel has 107 smart rooms available to leisure and business visitors. Close to the railway station, pedestrianised shopping area and 1km from the business area, it's an ideal location from which to combine business and enjoyment of the culture and history of Campania. 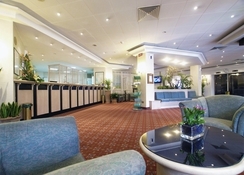 Attentive service and comfortable style are complemented by a rich breakfast buffet, fine dining option in the restaurant and relaxation in the American Bar, and well-equipped meeting rooms. 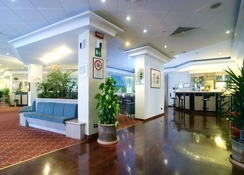 For a relaxing and rewarding visit to Caserta in Campania, Italy, book into the 4-star Jolly Caserta Hotel and enjoy the modern comforts and great location. 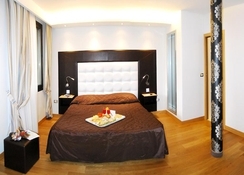 Getting to the hotel: 27km from Naples International Airport. Local tips: Local attractions include: the magnificent Royal Palace, the work of the great architect Vanvitelli; San Leucio, one of the most interesting Bourbonic sites, 4km; the medieval village of Casertavecchia that lies at the foot of the Tifatini mountains 10km; and many other historical and archaeological sites in the province of Caserta: Capua with Anfiteatro Campano, second only to the Coliseum, the Museum of Capua and the Museo Provinciale Campano, and other small towns of Casola and Pozzovetere. 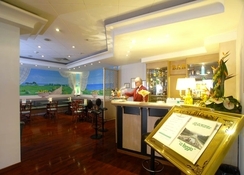 Food, drink and entertainment: Main restaurant "La Reggia" offers a rich breakfast buffet and options of traditional regional Italian and international cuisine dining; an American Bar serves a variety of refreshing beverages. Sport, games and activities: Sightseeing and exploring the beautiful villages and countryside. Naples and the Amalfi coast are within easy reach. 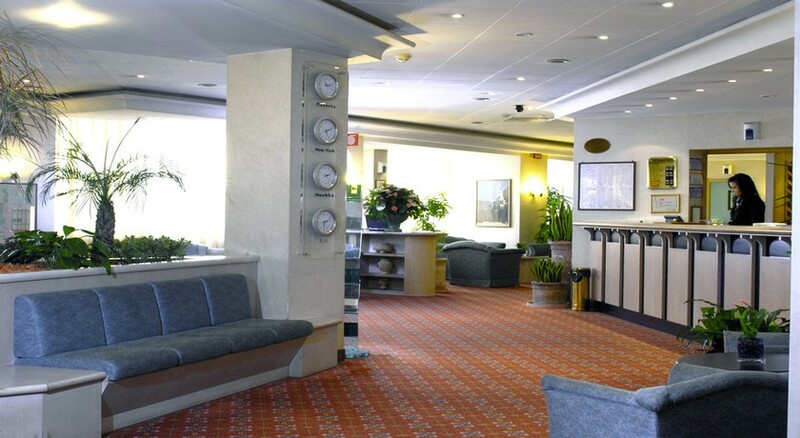 Additional: Front Desk services, housekeeping, tourism information, meeting rooms with A/V equipment available, parking available and other standard reception services. Guest rooms of varying design and space have a smart fresh decor of white and soft pale interiors, drapes and linen of warm pastel shades or bold colours to complement, comfortable furnishings on tiled or parquet flooring and modern amenities for your convenience; features include air-conditioning, soundproofing, en suite bathroom, satellite & pay TV, direct dial telephone with alarm message facility, radio and mini fridge.